Whether you are a scuba diver, kayaker or the interested traveler, Jim Caldwell’s Palau Travel and Dive Photolog web site is an amazing resource into what CEDAM named as one of the Seven Wonders of the Underwater World, Palau. With both a brevity and completeness, the site captures the essence and beauty of what draws so many water and nature enthusiasts to the experience of their lifetime. 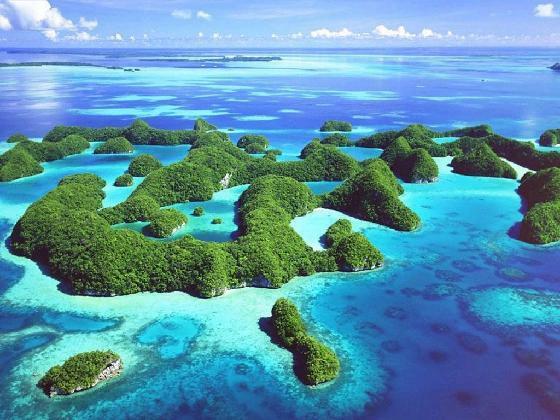 Palau is so amazing that Jacques Cousteau proclaimed it as one of the world’s best places to dive. Palau Travel and Dive Photolog not only offers extensive coverage of most of the major dive sites (The Blue Corner, The Blue Holes, The New Drop-Off, The Ngemelis Wall – Big Drop-Off, Chandelier Cave, The German Channel, Jellyfish Lake, The Peleliu Express, The Ulong Channel, The Saies Tunnel), to name just a few), but has the depth and breadth of topics to answer almost any question on Palau. Looking for a place to stay, check out the places to stay page in Palau. It provides a detailed list of places defined by service, quality and price. Recommendations on places to eat in Palau? Check out Jim’s page of recommendations. Palau Travel and Dive Photolog offers a pretty thorough summary of the history and culture of Palau, including the Battle of Peleliu. There is even a page on what you need to know about traveling to Palau. via Palau Travel and Dive Photolog by Jim Caldwell. This entry was posted in dive Palau, Diving, History, hotels in palau, Jim Caldwell, koror palau, Palau Diving, palau islands, Photography, Redondo, Scuba, Scuba Diving, Sharks, Snorkel, Travel, Where is Palau and tagged Hotels in Palau, Jacques Cousteau, Jellyfish Lake, Jim Caldwell, Kayaking in Palau, Micronesia, Micronesia scuba diving, Operation Stalemate II, Palau, Palau Pacific Resort, Palau Royal Pacific, Palau Travel and Dive Photolog by Jim Caldwell, Peleliu Express, Places to Eat in Palau, Redondo Beach firefighter, Restaurants in Palau, Saies Tunnel, The Battle of Peleliu, The Big Drop-off, The Blue Corner, The Blue Holes, The German Corner, The New Drop-Off, The Ulong Channel, The world’s best dive sites, The world’s best diving with mantas, The world’s best diving with Pelagics, The world’s best diving with sharks, The world’s best diving with soft and hard corals, The world’s best drift diving, The world’s best wall diving, Travel, Where to stay in Palau.. Bookmark the permalink.